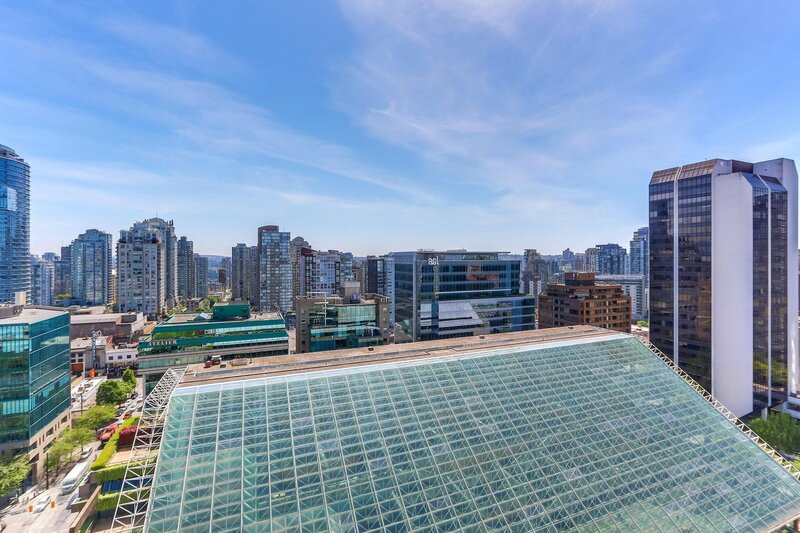 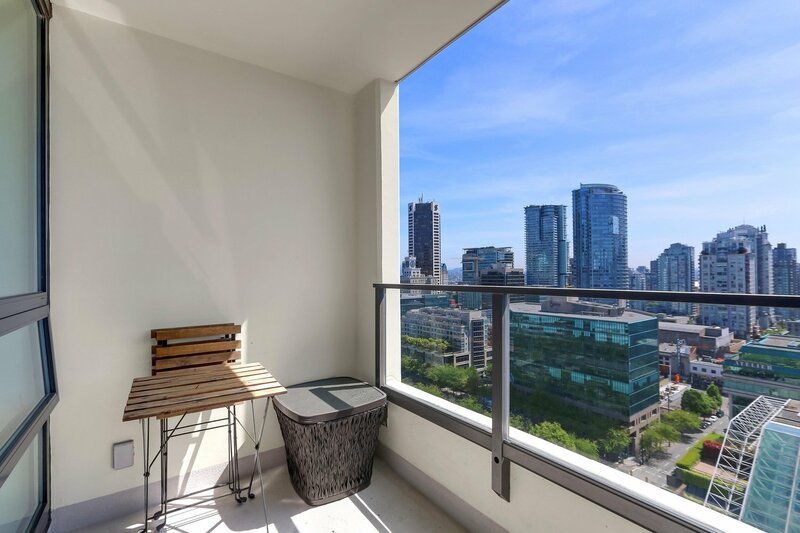 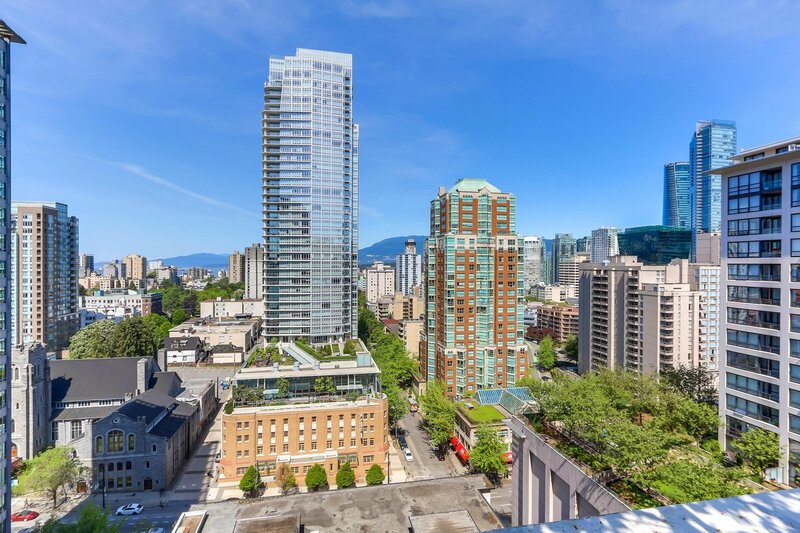 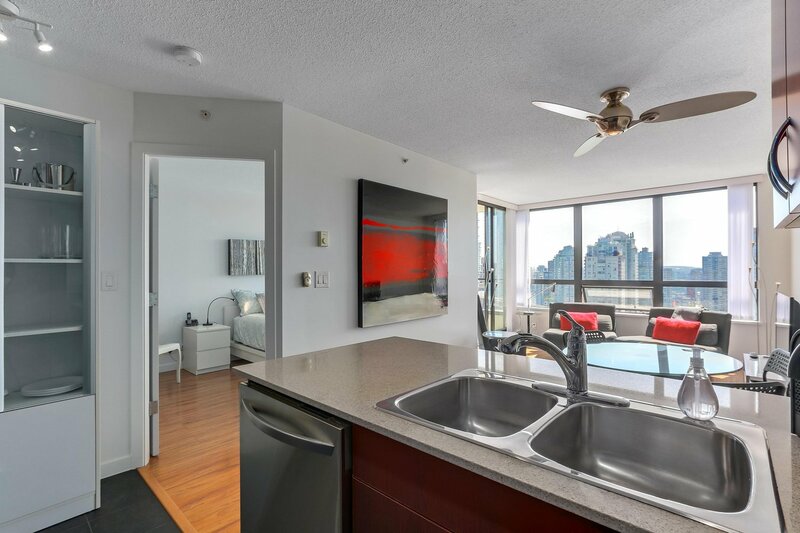 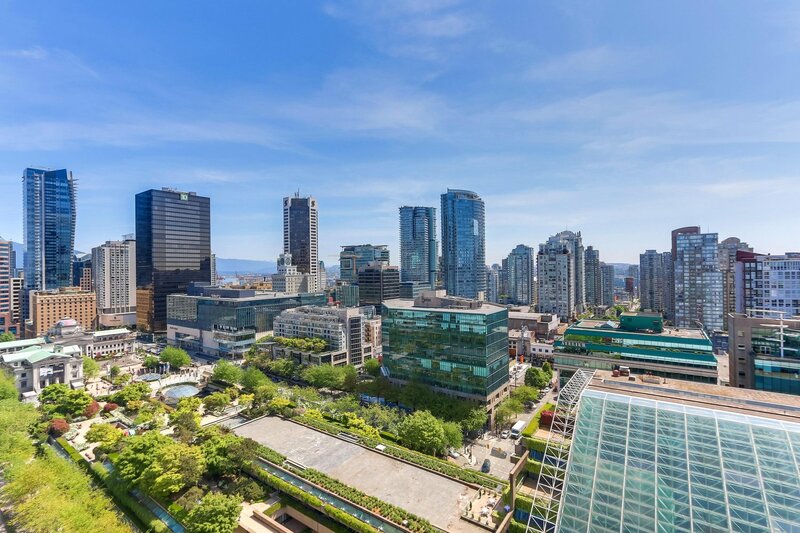 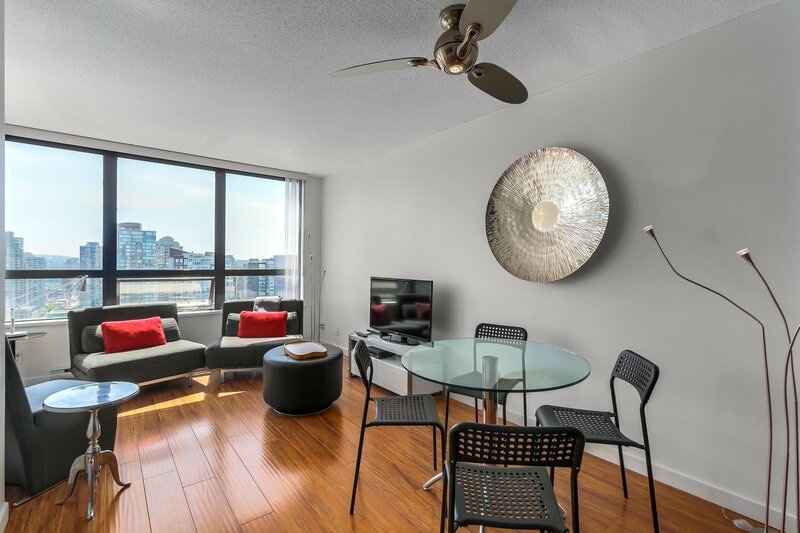 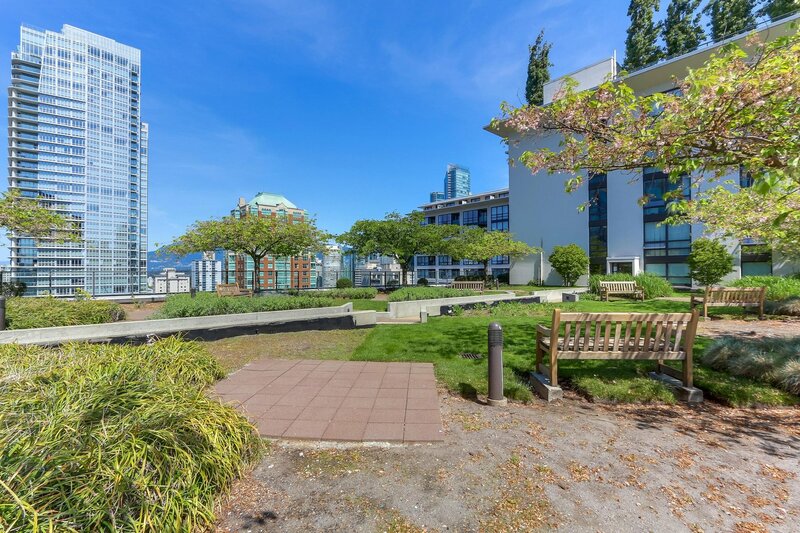 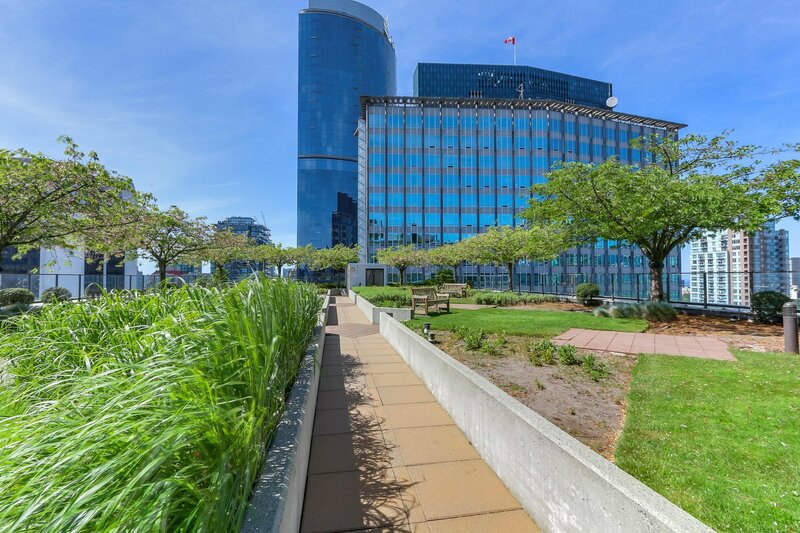 Stunning UNOBSTRUCTED VIEWS over the Arthur Erickson designed Vancouver Law Courts from this immaculate one bedroom and den home in Bosa's Electric Avenue. 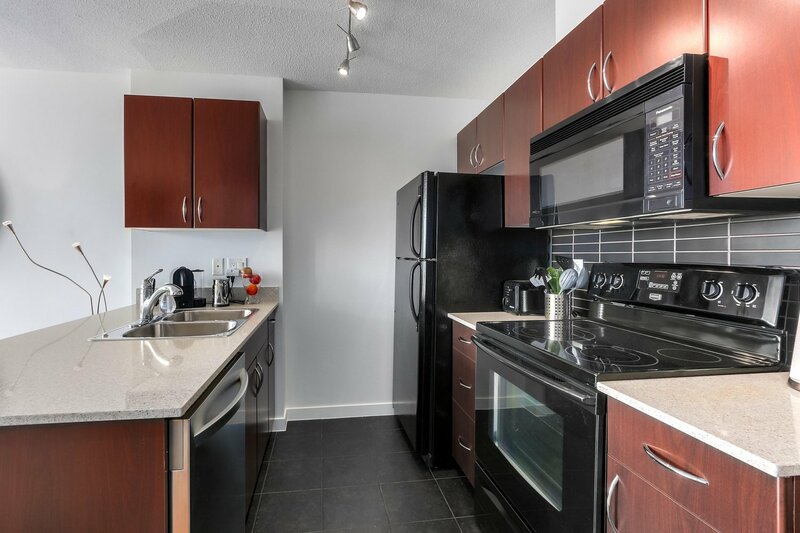 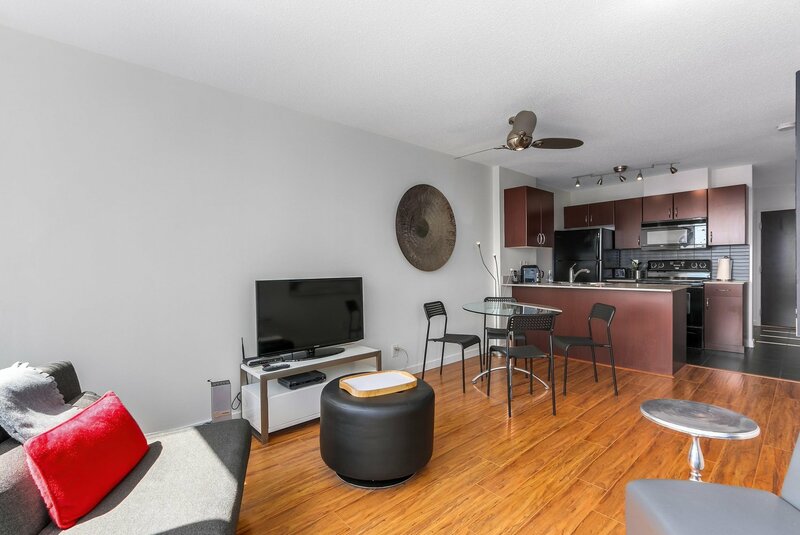 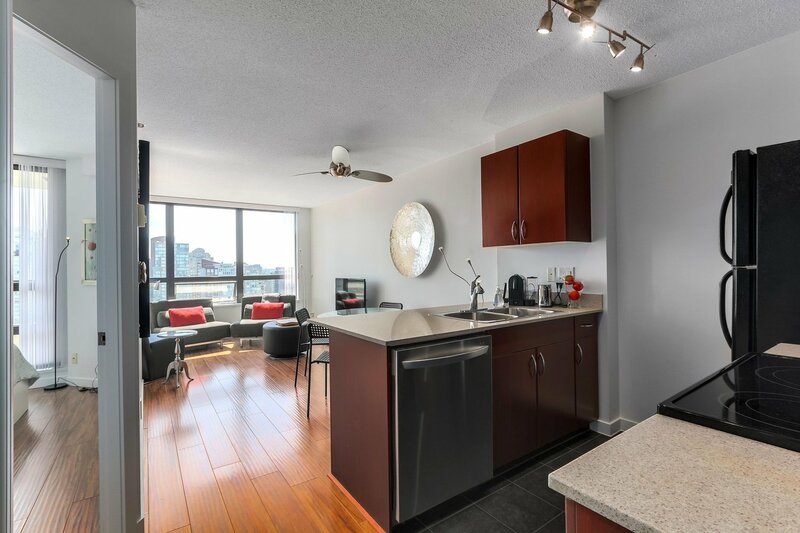 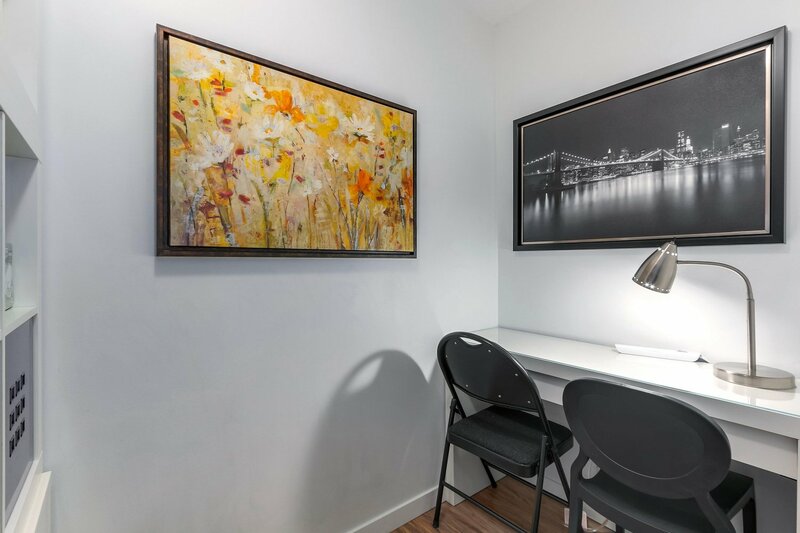 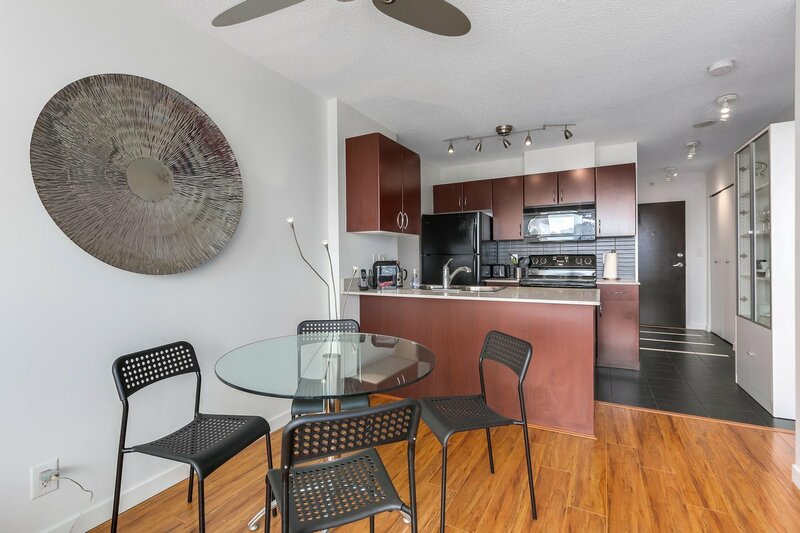 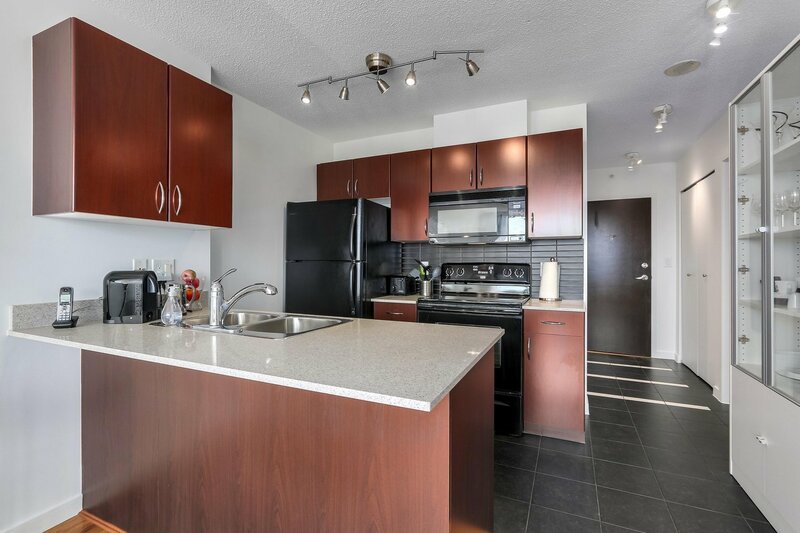 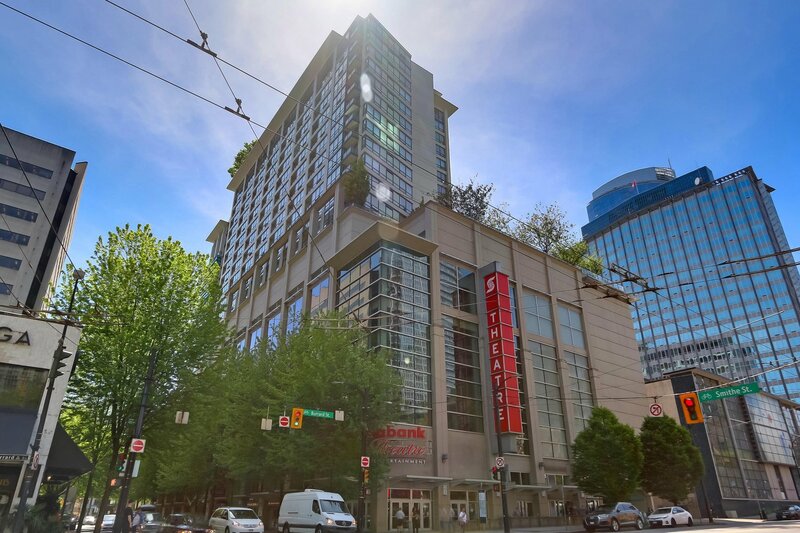 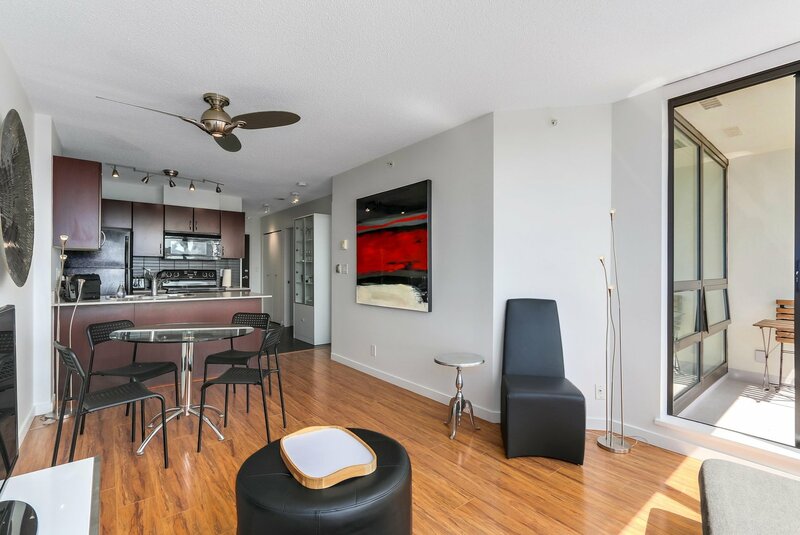 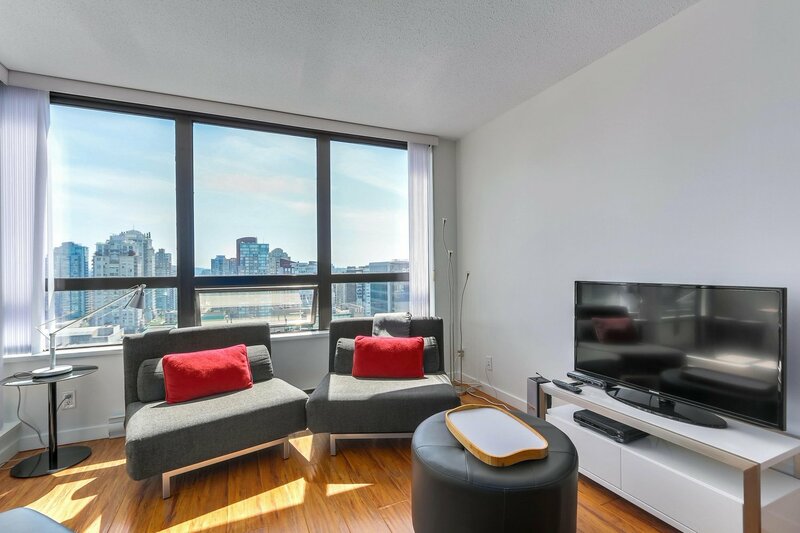 Located in the heart of the city where restaurants, coffee, shopping, groceries, YMCA, and transit are just steps from your front door; you will love the proximity to everything you need. 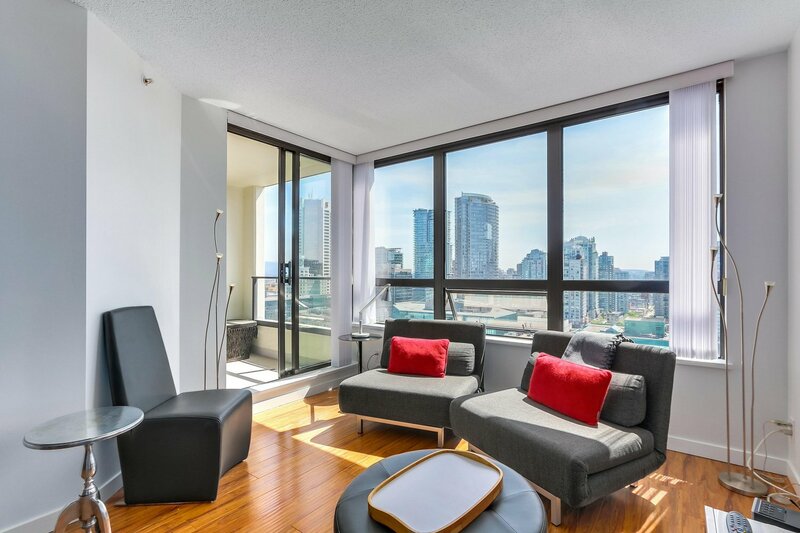 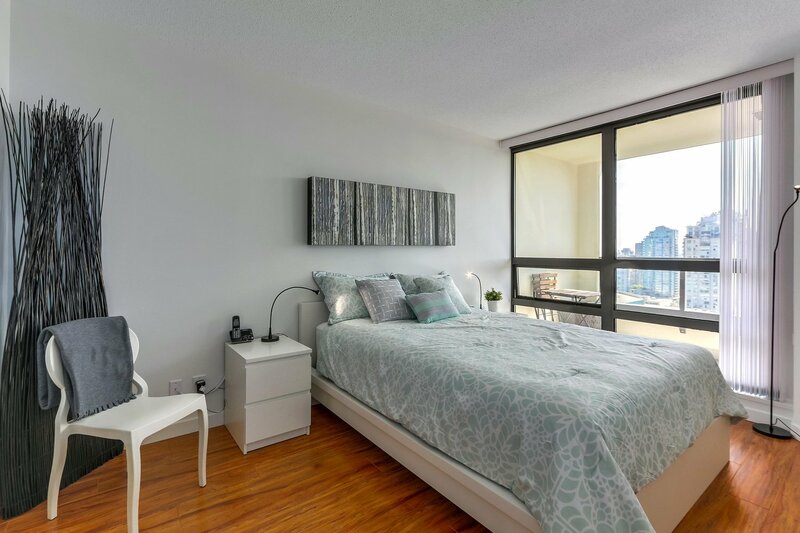 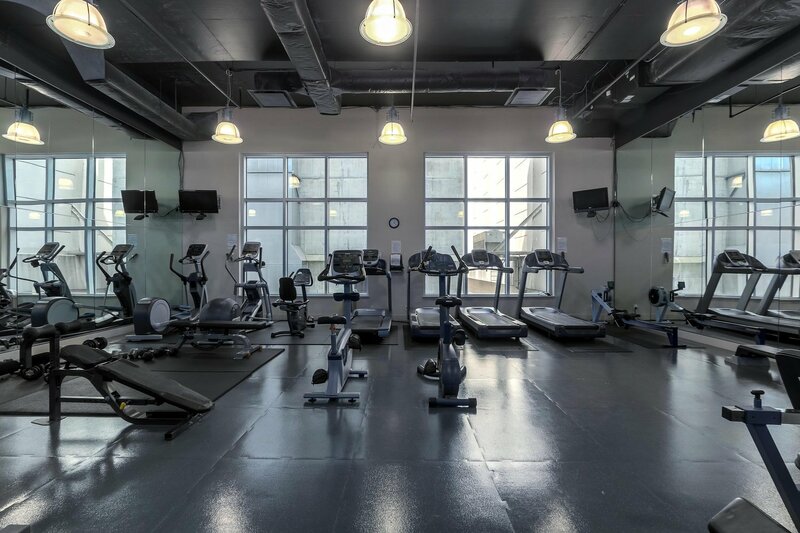 Exceptional building amenities include two rooftop patios, private theatre, party room, concierge, well equipped gym, along with one underground parking stall for your exclusive use. 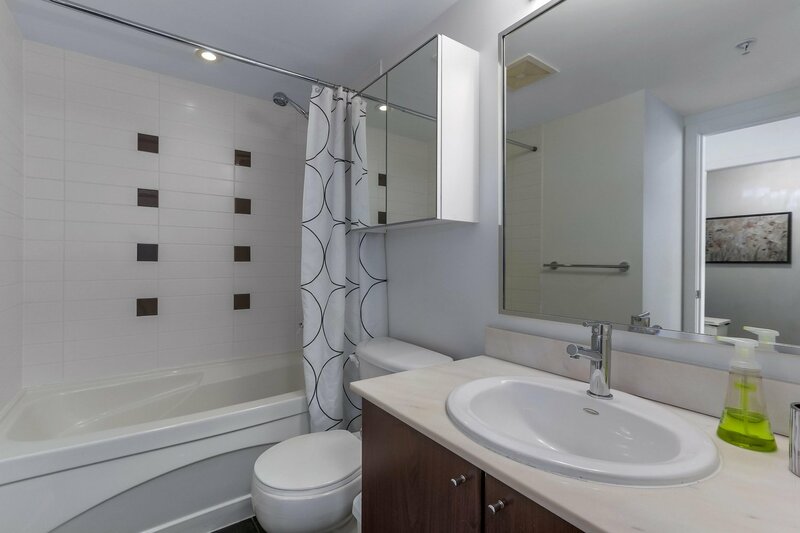 This home is ready for your immediate occupancy or as a turn-key rental property; can be purchased with the furniture for an immediate investment property.